CPH Interiors - Damp Proofer, Roofer based in Dawlish, Devon. We are local, friendly, reliable and treat your property as if it is our own, with the utmost respect. Our advice is free with absolutely no obligation. 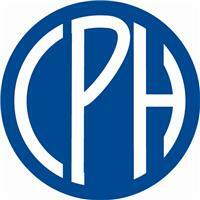 CPH Interiors has been trading since 1984 with endless satisfied clients. We may be new to Checkatrade but not to the industry. CPH Interiors are members of other similar internet platforms with 100% Positive feedback over a ten-year period. I believe if you can show consistent excellence with a proven track record it is invaluable. Our goal is to guarantee full satisfaction to all our clients old and new. Please feel free to visit our website and ask any questions or enquiries you may have.